It’s been almost 9 years since I decided that I wanted to start buying cruelty-free, and it’s been a learning experience! It honestly feels really good to be supporting cruelty-free brands and, for the most part, not supporting brands that test on animals. Even though I’m only one person, it does make a difference! So, today I want to share some tips/recommendations for people who are beginning their cruelty-free journey or for those who want to start buying cruelty-free but don’t really know where to start. I’m by no means an expert on every cruelty-free product available. But overtime, I’ve found my favourite cruelty-free brands and products, and I’ve learned a thing or two! These are my top 5 tips for buying cruelty-free! My first tip is to research before you start buying cruelty-free. It’s always good to start something prepared because not being prepared will make things more difficult. 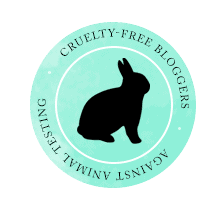 I started looking at my favourite brands’ web sites to see if they mention if they’re cruelty-free. If I didn’t see any evidence of that on their web site, I emailed a bunch of them. If they’re hesitant or dismissive with their answer then it’s almost safe to assume that they test on animals or pay a third party to do it. Another form of research that can be done is checking out reliable sources — such as Peta’s Beauty Without Bunnies (do double check elsewhere, but this is a good start) and the Leaping Bunny Program, as well as Suzi’s very informative web site, Cruelty-Free Kitty and Tashina’s awesome web site, Logical Harmony — that give information on which companies are cruelty-free and which ones aren’t. If you’re unsure of something, contact those sources, and most of the time they’ll be happy to explain something or answer any questions. Also, find out which parent companies continue to test on animals. These parent companies own tens and hundreds of brands, so it’s a pretty easy way of instantly knowing if a brand is tested on animals. All you have to know is if the parent company is not cruelty-free. I compiled a list of the top parent companies who test on animals, which you can feel free to check out if you want. This list is not extensive, but it is a starting point. There may, however, be more parent companies that I missed and that may not be on the list. Another tip is to start slow. Start by looking up cruelty-free alternatives to your favourite products. Once you find alternatives for your most used products, everything else becomes a piece of cake! It’s alright to take your time until you get comfortable buying cruelty-free. Slowly buying cruelty-free is much better than choosing to continue purchasing products that are tested on animals. Also, when I started on my cruelty-free journey, I found it easiest to start focusing on one specific area. I chose to first switch over all my cosmetic/beauty products, such as makeup and shampoo. That’s the easiest area to switch over because there are so many cruelty-free alternatives. Once that’s done and your comfortable, then it’ll be another project to switch over your household products and things of that nature. My third tip is to keep your current products even if you find out that they’ve been tested on animals. What’s done is done. It was already tested on animals, so you may as well get your money’s worth. Don’t just throw all your products away instantly, because it’s not really realistic to be able to replace everything in one day. I did a bit of that when I decided to start buying cruelty-free, and it was a mistake! If you continue using what you already own, it will give you a bit more time to really research and find great cruelty-free alternatives. Another tip is to download some apps that share information on which brands are cruelty-free and which ones are not. These can be helpful when starting out. Many of them are not really extensive, but they can be somewhat helpful in the beginning. There are all kinds of free apps in the iTunes store and the Play store, so it’s worth it to see if it works for you and is helpful. I wish that these had been available when I started buying cruelty-free, but, to my knowledge, they just weren’t! And my last tip is to just do your best. No one in this world is perfect. It can sometimes feel like a real struggle to continue searching for cruelty-free brands and products. Sometimes you may feel like giving up and you may even ask yourself if it’s worth it. It most definitely is! Even if you only replace one thing with a cruelty-free alternative, it makes a difference. Don’t ever let anyone convince you it doesn’t, because it absolutely does! You are helping innocent animals, no matter how far you take your cruelty-free journey! I really hope that these tips are helpful to some of you! These tips definitely helped me out when I was getting started! Let me know if you have any more tips for buying cruelty-free! I’d love to hear them! Great advice. Been CF for 5 years now and it feels amazing. Like I’m doing a small part to make the world a better place, just by cutting out those companies. That’s great that you’ve been cruelty-free for 5 years! I think anybody that makes the decision to switch over to even one cruelty-free product is helping make a difference! Love this post! I have been working slowly to change my items to cruelty free for a little over a year. It’s a process but it’s worth it. Could you share some of your favorite cruelty free brands? Thanks! That’s so great that you’re switching over to cruelty-free products! It is a process, but it’s so worth it! I hope this is helpful! If you’re wondering about any specific brands, I’d be happy to help anytime! Good luck on your cruelty-free journey!